I was invited to visit The Goat, KYGT, by my friend Daoine O’ (her on-air name) who does a weekly radio program titled Eclectica. 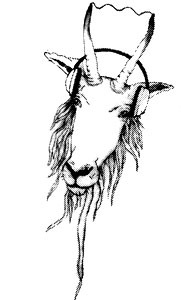 The Goat is a low-power FM radio station serving Clear Creek County Colorado, from Idaho Springs to Silver Plume. This station has been a large part of my inspiration to try and get a station started in Nederland, CO. I had hiked to The Goat’s transmitter site earlier this summer, which is in a remote location on mountain side about 10 miles from the studio. I wanted to have a look at the configuration of the tower and the antennas. Click for larger. The actual transmitter antennas are the circular things on the right side of the tower. 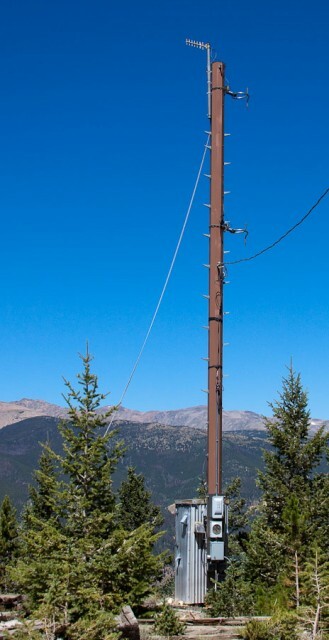 The receiving antenna is at the top. The transmitting equipment is in the mini-shack at the base. Now it was time to see the studio in person and to collaborate with Daoine O’ on her three-hour live show by choosing all of the music. The hours leading up to the show were a bit stressful as nothing went right. I had accidentally left all of the music I had chosen on the front porch at home. It would have been a two-hour round trip to go back and get it. So we quickly pulled some of the music off my MP3 player and burned some CDs so that we could seamlessly play one song after the other. Not all of the music I wanted to play was on my player and some of it was in .flac format which we couldn’t get Windows Media Player to recognize. But we managed. We headed off to the studio after stopping for lottery tickets and watching a fox hanging out at the gas station. The inside of the studio was much larger than I thought it would be. The DJ sound board and all of the audio equipment was located in one corner. The large floor area allows for musicians to play live. There were a couple of couches along the edges, as well as shelves of records and CDs. It was a comfortable space and I felt at home. 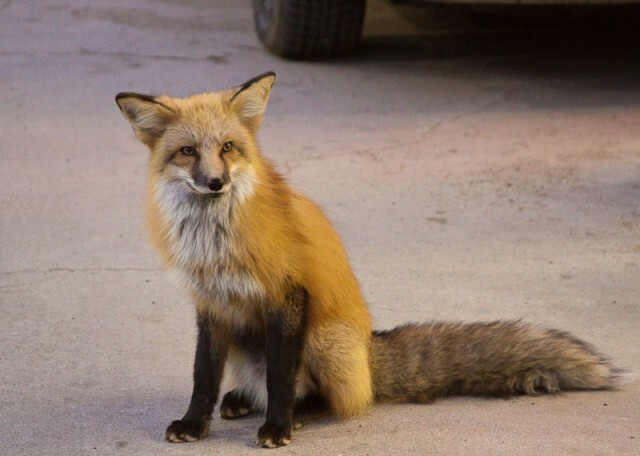 Fox hanging out at gas station in Georgetown, Colorado. The Goat studios in Idaho Springs, Colorado. After contacting the studio engineer we found some audio cables that would allow me to patch my MP3 player into the sound board. This gave us a little more flexibility with song transitions and gave us more of my music to choose from. Daoine O’ always opens her show with a Rush song. In this case, I got to chose one of my all time favorites, “La Villa Strangiato”. I followed it with one of my favorite songs by Tool, “Right in Two.” I felt during the first 90 minutes of the show, the music flowed nicely. I grew a little concerned about playing a lot of music that the majority of listeners probably had never heard before. Daoine O’ reminded me that was not an issue with the format of her show. It’s supposed to be an eclectic mix. It sure was! My selections spanned 30 years and many genres. Daoine O’ likes to make sure the station identification occurs precisely at the top and bottom of the hour. So it was a fun challenge to find a combination of songs that would be 30 minutes long. After a couple of hours, I felt relaxed enough that I could talk on-air. I wanted to say a few words about how lucky those listeners were to have a station like The Goat. 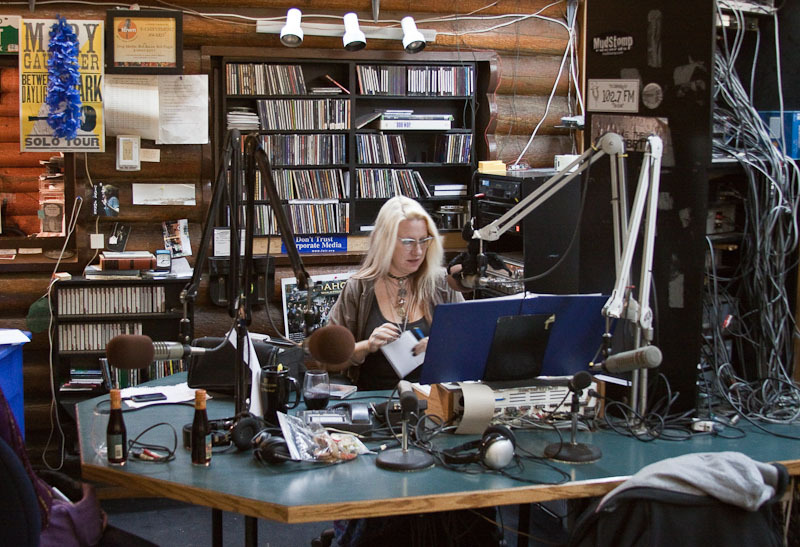 Depending on what the U.S. Senate does with the bill currently waiting for a vote, there may not be any new LPFM stations in this country. But we had some technical difficulties with my microphone and I got distracted by the pantomiming hand gestures concerning the lack of sound and I started getting confused about what I was saying. So we got back into the music and finished out the three-hour show. I have no idea whether anything I said could actually be heard over the air. yay! thank you for being my guest; it was a lot of fun, and i got to hear a whole lot of new music! Wow! Great fox shot and great story! Will the show be where we can listen to it? As you can see, mostly overnights on the weekends. I’ll record the stream next time it’s replayed. 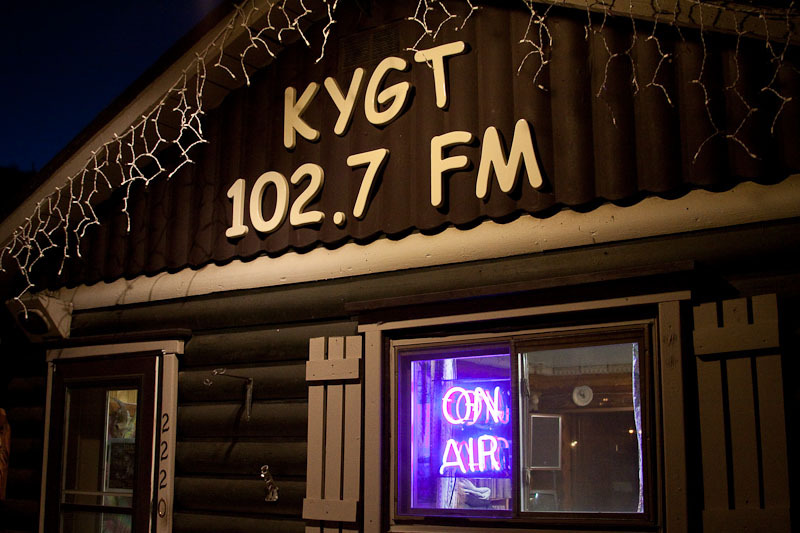 The live shows are Mondays 7pm – 10pm. How cool–I bet your playlist was amazing, both your intended playlist and the actual one. “La Villa Strangiato” is a favorite Rush song of mine. What a great experience! I am glad you enjoyed it. The photograph of the fox is lovely.